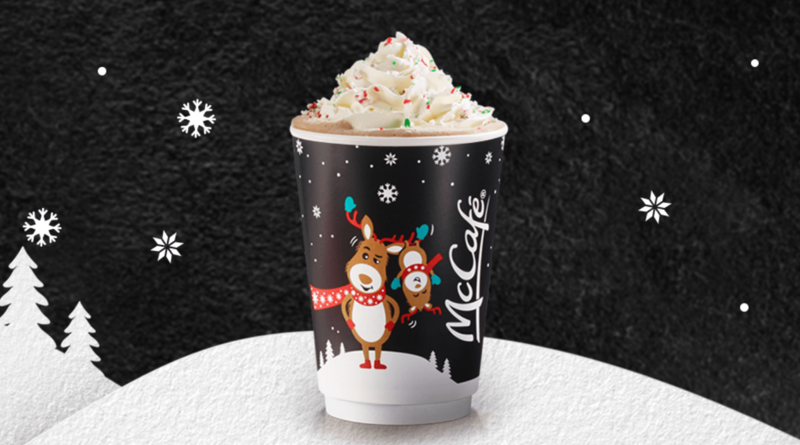 McDonald’s Canada Holidays Drinks & Treats Including NEW Caramel Cranberry Bar + FREE Pop All Week! Peppermint Mocha: Made with our signature McCafé 100% Arabica Beans freshly ground espresso and fresh milk, steamed and frothed. Sweetened with a peppermint chocolate syrup and finished with real whipped cream topped with crushed candy cane. Peppermint Mocha Iced Frappé: Made with the great taste of 100% Arabica beans, a decadent peppermint chocolate syrup, freshly blended with ice and finished with real whipped cream and crushed candy cane. Peppermint Hot Chocolate: Made with fresh milk, steamed and frothed, decadent peppermint chocolate syrup. Topped with real whipped cream and crushed candy cane. Peppermint Brownie: This Peppermint Brownie is decadent, rich and chewy. The taste of peppermint, dark chocolate and the smoothness of white chocolate chips. Topped with snowflake shaped sprinkles. New Caramel Cranberry Bar: A new, holiday bar with hints of cinnamon and apple. Topped with a sweet caramel sauce. Available until December 31 2018. 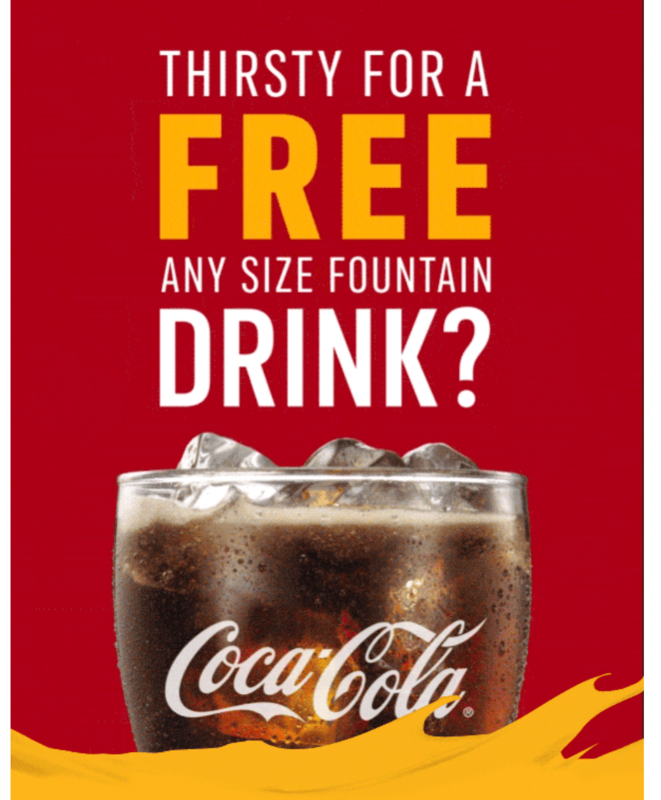 Every day this week at McDonald’s you can enjoy any size fountain drink for FREE only with MyMcD’s app! This promo ends on November 18 2018.